If you or a loved one has been injured as a result of someone else’s neglect, recklessness, violence, or other wrongful conduct, prepare to pursue compensation from a position of strength. You deserve to be compensated for your losses – especially for injuries that significantly affect your ability to earn a living and diminish your overall quality of life. The Law Offices of Andres & Berger, P.C. are always seeking to get the most compensation for their clients. As battle-tested attorneys, we know exactly what to do and how to do it, and will not stop fighting until we get our clients the compensation they deserve. If you or someone you love has suffered personal injuries, whether in a car accident, truck accident or motorcycle accident, a slip and fall, a dog bite, a product liability mishap or medical malpractice, you need a seasoned personal injury lawyer who will work tirelessly to make sure you are compensated substantially for your pain and suffering and more. The Law Offices of Andres & Berger, P.C. have been seasoned by years of experience and litigating disputes in the trial courts. Contact The Law Offices of Andres & Berger, P.C. today for a free consultation. Our office is in Haddonfield, NJ, but we are well known, respected and referred throughout the state by other lawyers and former clients because of the dedication and commitment we put into every single personal injury case. Following an accident that left you or a loved one with significant injuries, you may be in pain and feeling overwhelmed about what to do next. You have come to the right place. The award-winning, highly successful personal injury lawyers at The Law Offices of Andres & Berger, P.C. 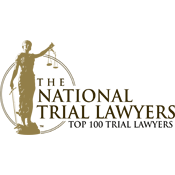 have a combined total of more than 80 years of trial experience and a proven record of success in obtaining multi-million dollar settlements and verdicts representing good people, like you, in South Jersey, including Cherry Hill, Medford, Maple Shade and Moorestown. We offer compassionate care and top-notch representation, with uncommon sensitivity, in order to help our clients cope with the emotional, physical and financial harm they have suffered. In order to better serve our clients with our expertise and experience, we limit our practice to only the most serious injury and malpractice cases. 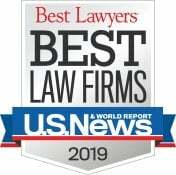 Time and again, our clients say that no other law firm works as hard as we do. 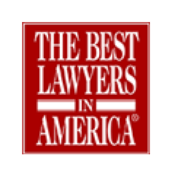 That’s because no other lawyers pursue justice for injured clients more tenaciously than The Law Offices of Andres & Berger, P.C.. If you have lost a family member to wrongful death in an accident anywhere in New Jersey, including Mercer, Atlantic or Gloucester counties, or you are suffering from life-altering injuries as a result of any of the following situations, we will help. Catastrophic Accidents that cause life-altering injuries, including traumatic brain injury, spinal cord injury, paralysis (paraplegia or quadriplegia), loss of vision or hearing, amputation, organ damage, and others. Medical Malpractice, include injuries stemming from negligent mistakes made by doctors and nurses, in and out of the hospital. These include surgical mistakes and anesthesia errors, medication/drug mistakes, failure to diagnose cancer and other serious conditions, other misdiagnosis issues, birth injuries and obstetrical malpractice and other healthcare-related negligence. Motor Vehicle Accidents, including car collisions, motorcycle crashes and bus accidents resulting in permanent injuries or even death. 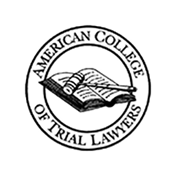 Trucking Accidents cases involving semi-trucks, tractor trailers, 18-wheelers and other commercial trucks include special challenges best handled by the truck lawyers at The Law Offices of Andres & Berger, P.C.. Nursing Home Abuse or Negligence can occur in the best rated facilities. If a health care worker is hurting your elderly loved one, whether it is physically, emotionally, verbally or financially, we will fight to protect your family. 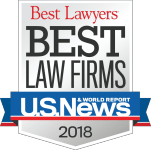 Wrongful Death Claims are brought in connection with accident and medical malpractice claims when a person dies as a result of someone else’s negligence. Close family members who are financially dependent on the deceased may be able to recover economic losses. The law also permits recovery for the conscious pain and suffering of the deceased from the time of the initial injury until death. Premises Liability Accidents, including slip-and-falls, trip-and-falls, accidents caused by insufficient lighting, poor security, etc. can result in your injury due to the negligence of others. Dog Bites, can lead to serious, disfiguring injuries and emotional trauma. Owners of dogs are responsible for the safety of other people who come in contact with their pets. If you were injured by someone else’s pet, you can hold the animal’s owner responsible for your pain and suffering. Pedestrian and Bicycle Accidents when you are walking or riding a bike, often leave victims with serious injuries. You are no match for a motor vehicle in the event of a collision. Construction Site Mishaps, including falls from scaffolding, ladders and roofs, malfunctioning machinery, forklift and crane tip-over accidents, flying construction debris and more, can result in disabling injuries or fatalities. Product Liability Cases, including defective or dangerous products that cause serious injuries. Legal Malpractice occurs when a lawyer makes mistakes that caused you significant financial harm or caused you to unnecessarily suffer penalties due to professional misconduct. We will help you hold them responsible for those errors. Class Action Lawsuits, include a group of people who have been injured by a product, drug or circumstance, collectively filing a lawsuit to get the total compensation all members of the lawsuit deserve. Claim Against the Government: These cases have specific statutes of limitations attached to them. Contact The Law Offices of Andres & Berger, P.C. with your legal questions. 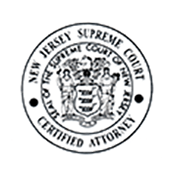 If you are in pain and facing life-altering injuries, we want to help you get the justice and compensation you need and deserve following your accident in Camden or Burlington County. We will make sure the responsible parties are held liable for their negligence. We can sue for money to cover medical treatment both now and in the future, rehabilitation and lost wages – including predicted future wage loss if you are unable to return to your profession. 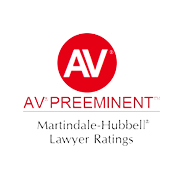 You should be able to focus on your recovery and the next phase of your life while your attorney tackles the issues involved with insurance adjusters or those seeking money for medical bills and other expenses. Contact the skilled and successful personal injury lawyers at The Law Offices of Andres & Berger, P.C. right away for a free consultation about your accident and injuries. We take all cases on contingency. There are no upfront legal fees and, if we don’t collect damages on your behalf, you won’t pay us a dime.